For all the talk about the booming tech economy, there’s a fact that doesn’t get nearly enough attention: there’s a considerable shortage of qualified workers, and a large hole in the tech workforce. How large? According to the Bureau of Labor Statistics, over 500,000 – that’s how many jobs are open in the tech field. Meanwhile, millions of Americans are still without work. It’s important to realize that those are not all high-expertise, computer-genius jobs for child prodigies who built their first computer out of scrap parts at three years old. In fact, more than 40% of these jobs don’t even need a bachelor’s degree. 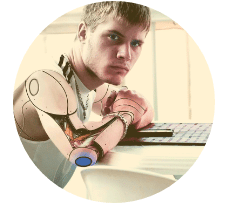 They are jobs in a wide variety of areas, from computer repair to coding to software engineering, in sectors ranging from the healthcare industry to banking and government. Many of these jobs require only an associate’s degree, certification, or accelerated training program to get started. In other words, the barrier to entry isn’t high – it’s just that not enough people realize they can do it. 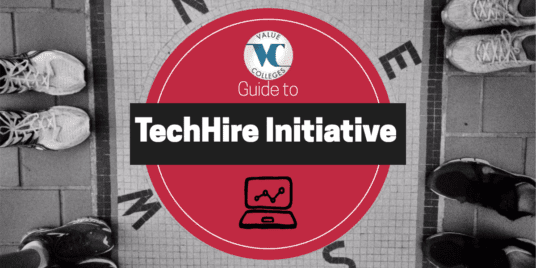 The TechHire Initiative is a nation-wide plan designed by the National Economic Council to meet the tech labor gap head-on. In 2015 the U.S. Department of Labor committed $100 million to create opportunities for working adults, unskilled workers, and low-income or unemployed Americans to receive alternative, non-traditional instruction in computing-related fields. The idea behind TechHire is to create an ecosystem that fosters skills development, provides job opportunities, and rewards workers based on “mastery, not history,” as the TechHire site puts it. That means working adults are given a chance no matter where they come from or what kind of educational background they may have. The White House expects the TechHire Initiative to fill at least 120,000 of the open tech jobs across the US, with the government program partnering with some 200 employers (and growing). TechHire targets the most vulnerable workers – the unemployed, the disabled, the undereducated, and international STEM graduates from US universities. It’s the hope of the Department of Labor and National Economic Council that the TechHire Initiative will solve some problems in our labor market – namely, the waste of energy and talent that comes of having working-age people unemployed, and the drain of jobs to outsourcing by companies who can’t find American tech experts to fill the posts. Most concerning, 16% of 15-29 year olds are out of work and/or out of education – meaning they may never enter the job market. Clearly something must be done, and solving this problem takes the effort of a whole nation – individuals, communities, businesses, and government. Community Leaders- To enlist all of the other necessary players into the TechHire Initiative (like educators and employers), community leaders in every TechHire community have to come of the fore. Take Chattanooga, TN, where the Chattanooga Area Chamber of Commerce and the Chattanooga Technology Council have signed on as partners. Government Agencies- Local and state governments take part in the TechHire Initiative by providing funds, personnel, and promotion. For example, in Albuquerque, NM, the City of ABQ IT Division and the New Mexico Department of Workforce Solutions are TechHire partners. Training Partners- An experimental mix of conventional academic institutions (including community colleges and public universities) and private partners (such as coding boot camps, tech academies, and training agencies). For instance, in Eastern Kentucky, Eastern Kentucky University and Morehead State University are working along with Fullstack Academy and Code Louisville to offer both traditional degrees and non-traditional certifications. Employers- A key to success in the TechHire Initiative is getting buy-in from regional and local employers. If employers don’t sign on, all of this effort is wasted. Fortunately, some of the world’s top Fortune 500 companies have pledged to hire; in Raleigh, NC, for example, some of the Research Triangle Park’s leading lights, like IBM and Red Hat, are prepared to take on TechHire workers. TechHire communities are diverse, running the gamut from major metropolitan cities (such as New York, Atlanta, and San Francisco), up-and-coming urban centers (like Raleigh, NC, and Chattanooga, TN), and regions hard-hit by demographic changes and economic hardships (including Eastern Kentucky, and Flint, MI). The time for something like the TechHire Initiative has come, and the tech community is ready for it. Who is the TechHire Initiative for? TechHire’s success stories have come from all walks of life, from coal miners whose jobs were lost when mines closed down, to factory workers laid off by outsourcing, to skilled laborers who were unable to practice their craft because of disability. Whether native-born Americans or new immigrants, from rural or urban communities, in the south, the midwest, the west, or the north, they are people who are typically left out of the hiring process. 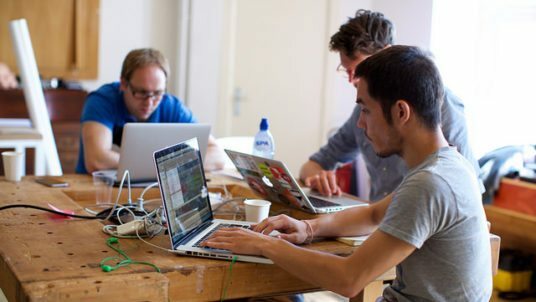 The TechHire Initiative seeks out potential workers who may lack traditional educations, training in computer science, or access to the tech job market, and helps them find ways to combine their knowledge and experience of the real world with technical skills that can be learned in just weeks or months by a highly motivated individual. But the revolution that TechHire is initiating doesn’t just start with working and unemployed adults; it’s also seeking to make sure that at-risk youth don’t find themselves in that position in the first place. 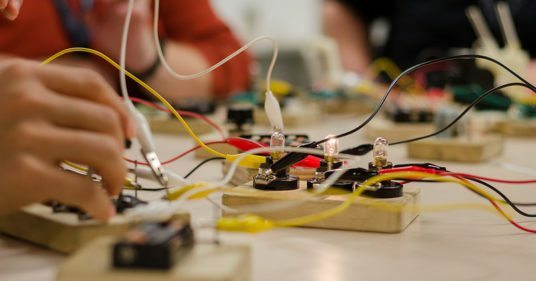 One such project is the CTE Makeover Challenge, a Department of Education contest for high schools to develop makerspaces and earn grants for tech education. The CTE makerspace concept is tied to the Carl D. Perkins Career and Technical Education Act of 2006, known to policy wonks and school administrators just as Perkins. The Perkins Act distributes more than $1 billion a year to high schools and postsecondary institutions to fund Career and Technical Education Centers, in an effort to encourage young people to go into technical careers. The CTE Makeover Challenge gave qualifying schools access to a CTE Makeover Bootcamp, giving teachers and students 6 weeks of support, resources, and expert knowledge to build and design their perfect spaces for facilitating creative projects. Ten schools were awarded $200,000 each for designing places for hands-on learning, practical problem-solving, and critical thinking. Individuals interested in taking part in the TechHire Initiative are invited to go to TechHire.org and fill out a contact form for more information. If You Are a Worker: TechHire communities are organizing all over the country. If you are in one, or live near one, find out more about what is going on in your community at TechHire.org. You could be getting trained for a new career within days. If You Are a Business Owner: Newly-minted tech professionals are some of your best potential resources. Not only have they learned the latest technology and skills – they’re more than happy to put them into practice in a way that will make you money. Consider hiring new workers from the TechHire community. You’ll wonder why you ever overlooked them before. If You Are an Educator: Everyone with knowledge and the desire to help has a place in the TechHire Initiative. TechHire is partnering with a variety of educational outlets, from community colleges to boot camps. If You Are a Community Leader: Your influence could be the catalyst for an explosion of learning, making, and creating. Getting your organization involved can make sure TechHire has the support and guidance it needs. Organizations do not have to be tech-related – if they can connect TechHire with the people who need it, they’ve done their job. Compared to some of the epoch-making employment and education undertakings of the 20th century – movements like the Works Progress Administration, that helped dig America out of the Great Depression, and the GI Bill, that helped millions of veterans return to civilian society and build the American economy after the struggle of WWII – the White House TechHire Initiative may seem humble. But in its scope and vision, not just for now but for the future, TechHire may prove to be a legacy for a whole generation. The TechHire Initiative brings together public and private, for-profit and non-profit, tradition and disruption, convention and innovation, and it makes those connections at all levels of civil life, from the local community to the federal government. It touches on some of the most America of worries: job security, economic stability, family cohesion, and individual dignity. It looks to those who have been left behind by progress, and those looking forward with uncertainty, and affirms that they can take their part in the American Dream too. Forget internet buzzwords and Silicon Valley jargon and remember this: TechHire is a chance to do something great, and all it takes is a little push. Get out there and try.